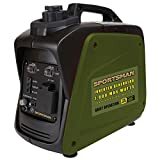 Let’s face it; not everyone has alot of money to spend thousands of dollars on just a portable generator especially when it is of use in case of emergency only. We don’t face frequent electricity breakdowns, but when they occur, they tend to be the worst nightmare to one. So if you are the trying to sort out for the best solution for unfortunate electricity breakdowns while staying inside your small pocket, you have hop to the right spot. Following is a list of some of the best portable generators one can buy under $500 only. Champion power equipment gives real meaning to the slogan of being compact with its 46539 model. It is genuinely portable yet the best one to get under a strict budget of $500 to cater all needs to fullest. 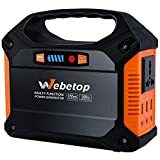 This portable generator comes with 4000 surge watts and 3500 running watts. It has a cast iron casing to best cover the engine from harm. It provides one with plenty of power consumption with its 196cc 4 strokes OHV engine. The engine is also carb compliant. It has various outlets with a one 120V lock outlet that can twist, one duplex outlet again of 120V and one RV holder. Last but not the least, this is the one with a wireless remote that makes it super-duper portable to be operated from 80 feet’s away. It has a 2-year warranty and 4.5-star rating on Amazon. Duro max XP 4400E Gas powered generator is the next best portable generator to buy under $500. It is best concerning both aspects: its portability and the convenience 0f outlets. The generator bears a fuel capacity of four galloons and can efficiently run straight for 8 hours on half a load. Its engine is not carb complaint, and this makes it an impossible option for customers in California. It has a steel frame over its engine. It has two 120V 20 amp holders, 120/24 volt 30 amp twistable lock outlet, and one 12 volt DC. It has a wheel kit and a compact toolkit. A rod is given to open the portable storage. Last but not the least, it has a 4-star rating on Amazon. It also has a built-in volt, meter. 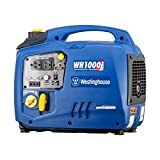 Westinghouse WH3250 Portable Generator is another best one on the list of “under $500” with four-stroke 208cc OHV engine. It comes with a manual recoil for its operation. There is a total of 5 outlets including one 120/240 bolts twistable lock outlet and four usual 120 volts outlet. It holds a capacity of four gallons of fuel. This generator can run up to 14 hours smoothly on half load. Moreover, its engine is enclosed in a cast-iron case. It has wheels for easy mobility. Moreover, it has 3,750 surge watts and 3,250 running watts. Lastly, it comes with a 3-year warranty and 4-star Amazon rating. It is best for home-purpose. One needs to consider several factors before investing money on the right product. Above three are best for all-purpose under a strict budget of $500. Add your best favorite to the cart and make hard hour’s easy going.